Imagine, you are running late to office and it’s rush hour. You are in dire need for a cup of coffee that will pull you through the morning. You run to a nearby coffee shop, only to see a long queue at the cash counter. What makes it worse is the slow payment process. After placing the order, you can see people struggling with exact change. The end result? You reach office much later and you still don’t have your cup of coffee. This might not always be true but I bet you have experienced it. To ensure quick payments, leading coffee-house Starbucks allows coffee-lovers in America and Korea to make payments via QR Codes since 2014. And now, China is the latest addition to the list. 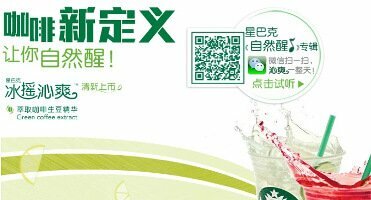 Starbucks China now allows Wechat Wallet (Weixin Pay) users to pay for their brew via a QR Code. Initial implementation of QR Code payments is across 2,500 Chinese Starbucks outlets. How Does Starbucks QR Code Payment work in China? 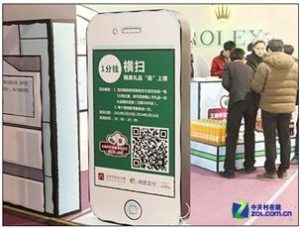 After placing an order, the customer has to generate a QR Code via the WeChat wallet app on their smartphone. The cashier scans the code to complete the transaction. The billed amount gets deducted from the customer’s WeChat Wallet app. “Accepting mobile payment would unlock massive value for Starbucks. Since they couldn’t move customers through the line faster, they were losing 5 to 10 percent of business.” – Shaun Rein, Managing Director, China Market Research Group. What are your views on Starbucks’ QR Code payment system? Share your thoughts in the comments section below.